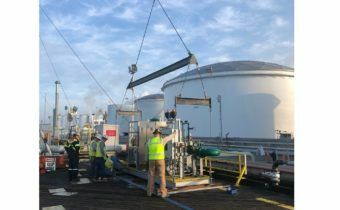 A facility on the Gulf Coast had an out of service tank that once contained Pyrolysis Gasoline (Pygas), but had recently been used to store various waste streams and contaminated water. 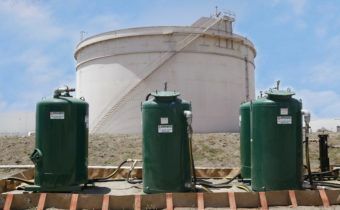 A tank farm had collected over 600,000 gallons of storm water runoff. 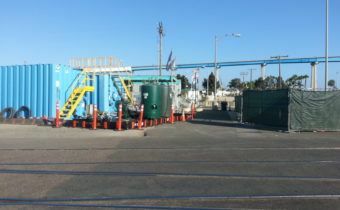 The storm water needed to be treated for total suspended solids, oil and grease, benzene, toluene, ethylene and xylene. The treated water would be discharged directly into Fort Worth’s sewer system. A general contractor was tasked with making major renovations to a utility company’s electrical transmission infrastructure. Construction dewatering was a major concern for the general contractor because the excavations were as close as 500’ from the ocean. 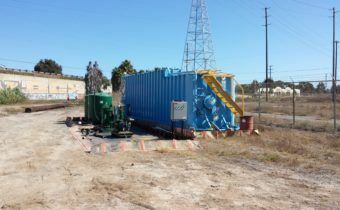 A construction company in San Diego needed to bore a hole under railroad tracks for a utility company to run wire underground, 15 ft below grade. 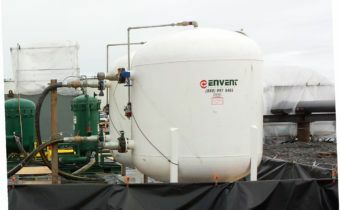 The site location was a marine terminal, so Envent was contracted to dewater the area for digging and to treat the subsequent contaminated water. 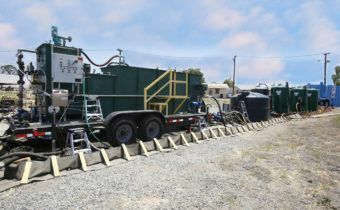 Savings of $24,000 and the successful discharge of 250,000 gallons of clean water. Project: Condensed Water Removal from Storage Tank. Location: Victoria, Texas. 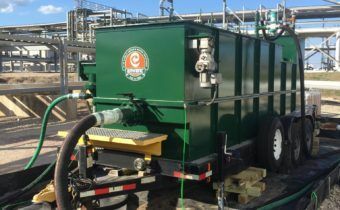 Product: Water contaminated with gasoline range organics. 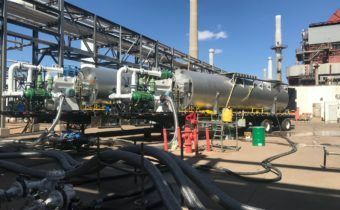 Project finished under the allotted time and achieved a non-detect concentration of VOC’s during the project. 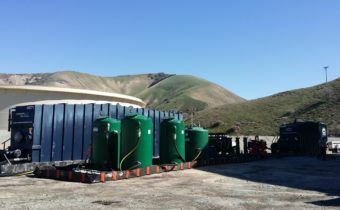 Project: Tank Water Treatment and Discharging Onsite. Cost Savings: $250,000. Location: Bakersfield, California. 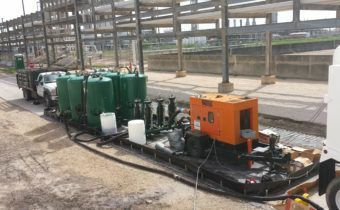 Product: Hydrostatic test water with crude oil residual. Project: Pipeline Hydrotest. Cost Savings: $550,000. Location: Alaska. Product: Hydrotest water with sediment and residual oil.